This cycle spans 8 days coast to coast, all the way from Ulverston, South Lakelands, Cumbria to the North Sea. The holiday will be suitable for nearly all riders, with a rating of easy to moderate. Bikes can be hired on location should you not want to travel with yours, or should you not own one. The distance varies daily between 15 and 30 miles (~23-50km) aiming towards a target of 150miles for the week. This is spread out over the course of the day. The majority of the cycle is based on the Cumbria Cycle Way Route. The accommodation enroute consists of a variety of guest houses and country inns, all with ensuites and bed & breakfast board basis. 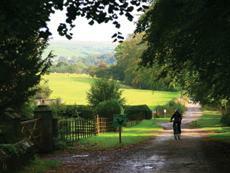 This cycling holiday is ideal for those who would much rather stay closer at home.